A fine area with a civic sense of neighbourhood, central yet just cut off from the bustle of Sliema. Many embassies are found here and across the bay there is the dramatic view of Valletta's profile and fortifications. All around, stately-looking houses, adorned in baroque and Victorian architecture, peer through their front gardens and fine specimens of Norfolk Pines. 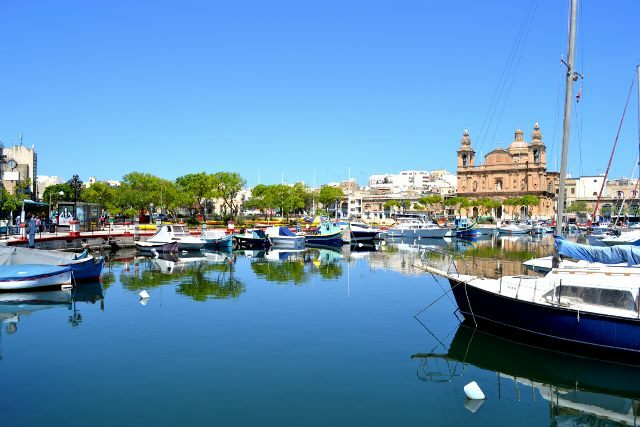 This is a truly residentail are, with few businesses, shops restaurants or bars - yet it's all happening just around the corner, at Sliema, a 25 minute walk along the seaside promenade. The inlets are cluttered with yachts and boats of all descriptions, hours may be spent watching the sea-traffic. The beautiful Msida Creek, below the lower western flanks of the Valletta Peninsula, was until recently a quiet haven for amateur fisher- men. Their colourful boats used to float on the sheltered waters of the bay. Today, the creek has been converted into a major marina for cabin cruisers and for small craft; but some multicoloured fishing 'dghajjes' can still be seen side by side the modern boats. Pontoons have been constructed in the creek, and the number of craft utilising the berths is increasing day by day. 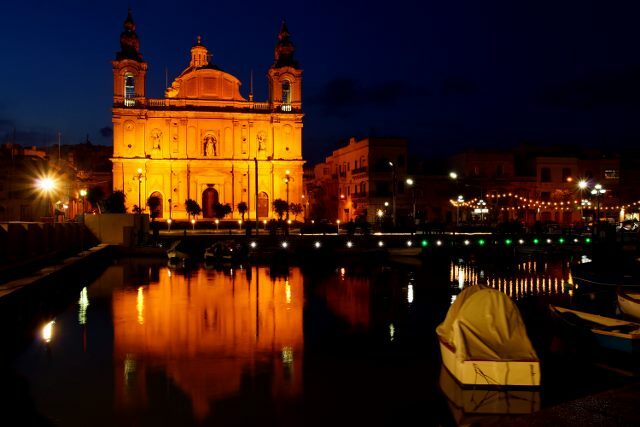 On one side of the creek lies Msida. On the opposite promontory stands the sister town of Pieta'. 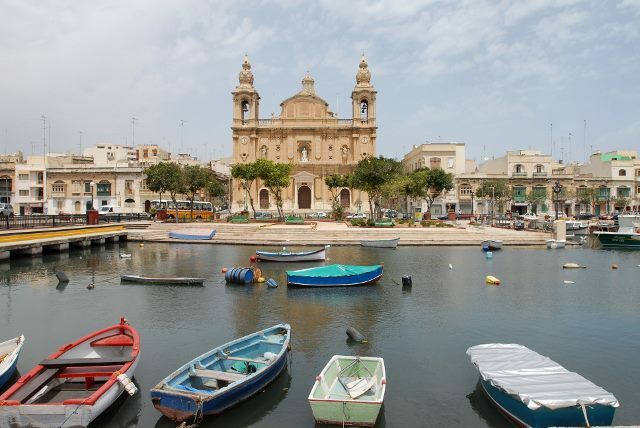 The Msida Parish Church of St. Joseph dominates the Creek. The graceful edifice, in composite baroque style, was completed and consecrated in 1892. Msida Creek extended further inland in former days. After the last war, debris from ravaged buildings was used to fill up the low waters in the inner reaches and in this way precious land was reclaimed in front of the church. An elegant garden has lately been planted on the Marina Wharf, on the site formerly occupied by a naval shack, which had served as a submarine base and Torpedo Depot. Flower beds, green bushes, fountains and several amenities now adorn this lovely garden on the fringe of the sea. 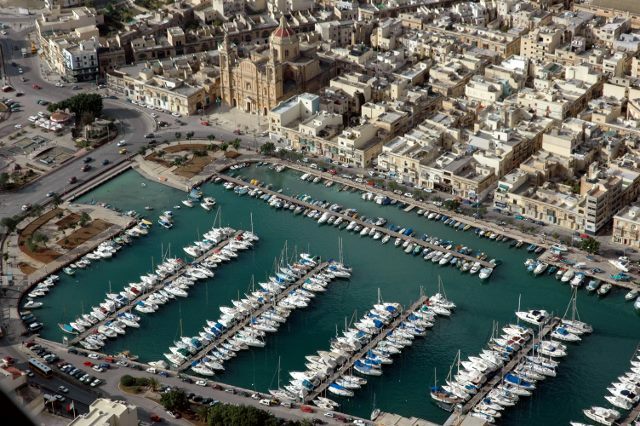 The Wharf at nearby Sa Maison Creek is the berthing place ot the Gozo Ferry. The mighty bastions of Valletta are a prominent feature on this side of Marsamxett Harbour.